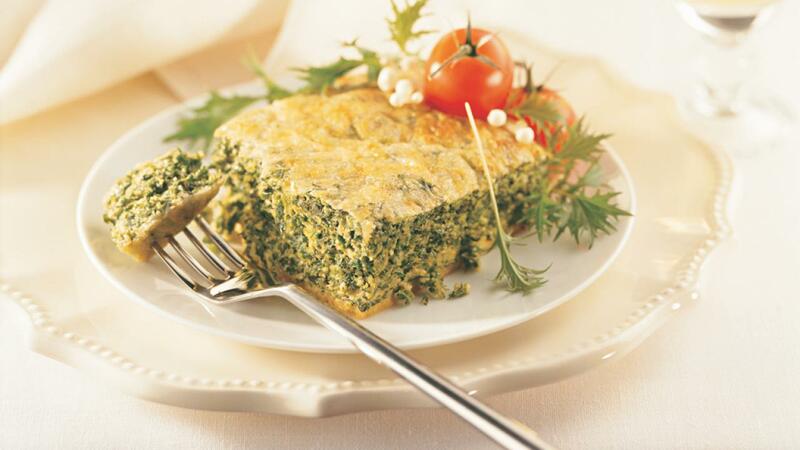 Whip up these spinach squares for your next brunch or family gathering. A bread crumb base coats the bottom of this cheesy egg and spinach dish that’s sure to become a favourite! Spray bottom and sides of 8-inch (20 cm) square baking dish with cooking spray. Sprinkle bread crumbs to coat bottom and sides of pan. Whisk eggs in medium bowl. Whisk in cottage cheese, spinach, pepper and hot pepper sauce. Spread over bread crumbs. Sprinkle cheese over top. Bake in preheated 350°F (180°C) oven until knife inserted near centre comes out clean, 20 to 25 minutes. Let stand for 5 minutes before serving.